Bees are key-players in agriculture and food production — one third of the world food supply depends on successful pollination. However, in the recent years, populations of the prime pollinators have been dwindling. To help the bee populations revive, many eco-friendly hotels are converting their roofs and gardens in to apiaries. And guests get an added benefit: fresh, hyper-local honey! We’ve got the buzz on some hotels with hives. These flowers aren’t going to pollinate themselves. An orchard, a naturally occurring cranberry bog, three herb and vegetable gardens: biodiversity at The Lodge at Woodloch is impressive. 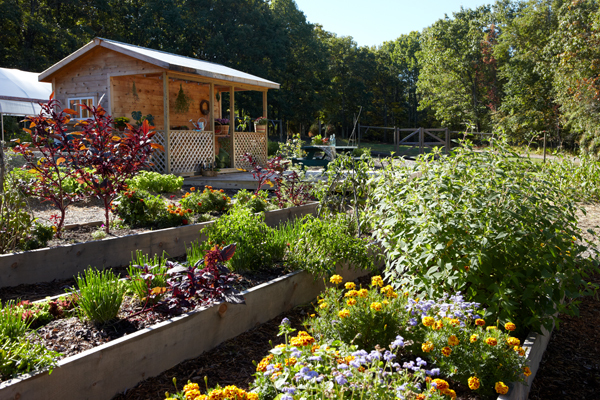 The resort’s Master Gardener gets help from 10,000 highflying volunteers—honey bees. While everyone loves fresh honey, the biggest benefit the bees bring is pollinating and sustaining the rich plant life that surrounds the resort. 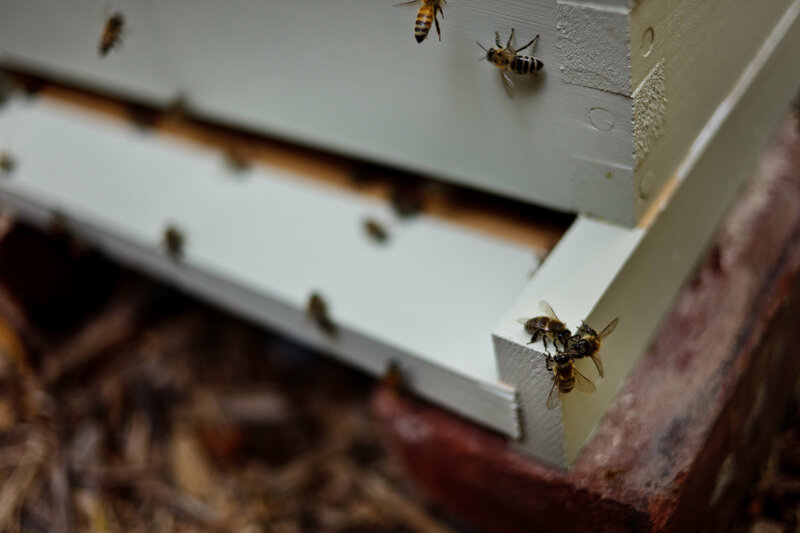 As a guest of the resort, you can Join Beekeeper Jesse Caccavale for a “Beekeeping 101” session, and learn about starting your own hive, the important jobs bees do at the Lodge, and how honey is collected. In the city, the mighty city, the bees sleep tonight. In sharp contrast to Poconos, the bees at The Lenox Hotel navigate the urban bustle of Boston. Sustainability is more than just a buzzword at this 114 year-old hotel. Maintaining a healthy bee population is critical for environmental stability; however, the east coast has been hit hard by Colony Collapse. 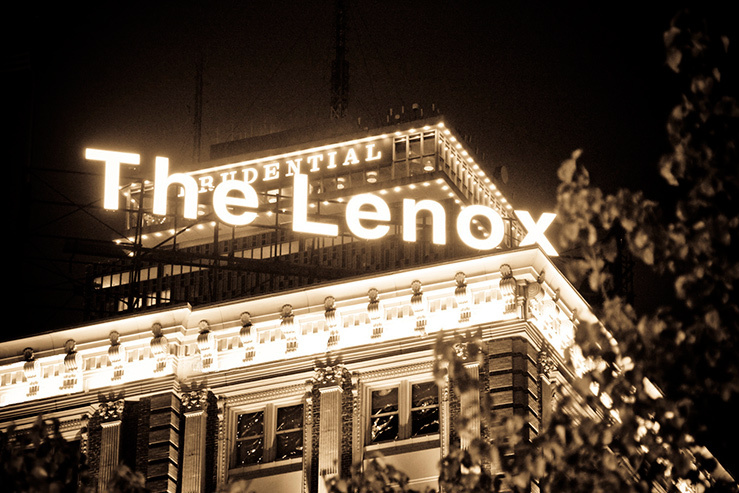 The Lenox decided to do something about it: they had hives built next to the huge neon “The Lenox” sign on their rooftop. The honey collected is served to guests at CityBar and City Table. Try the “Honey Boo Boo” cocktail, or the “Simple Greens” salad with rooftop honey vinaigrette! Gearing up for honey time! Across the country, perched high above Portland are more buzzing guests. Hotel Lucia, Sentinel, and Hotel deLuxe all have new hives from Bee Local, an artisan honey producer. These hotels give guests a true “taste of the neighborhood” as the bees pollinate the flowers all around downtown. 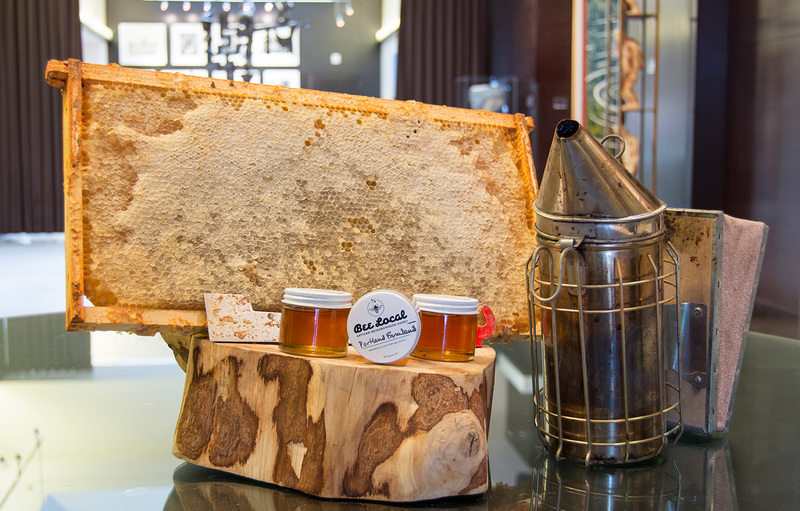 Enjoy some Bee Local honey in your in-room honor bar or swirl some in your cocktails down at the hotel bar. We recommend “The Harlequin” at Imperial: gin, aperol, lemon juice, imperial ‘bee local’ honey, chandon sparkling brut rosé. Have a second and you’ll have a good buzz too. (I’m sorry, the bee puns are irresistible). Southern charm, sweet as honey. 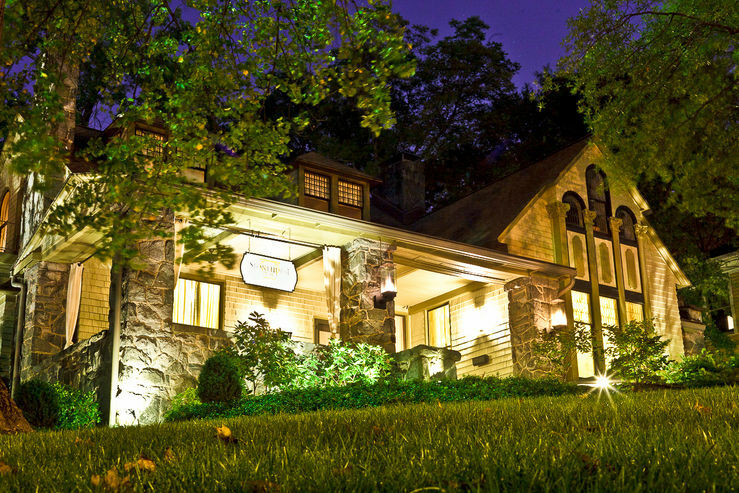 At Stonehurst Place, the darling B&B of Atlanta, guests are treated to gourmet breakfasts beyond imagination. So it’s fitting that their bees don’t settle for run-of-the-mill flowers, they regularly make the short flight to the spectacular Atlanta Botanical Gardens where they enjoy rare delicacies. Then, they return to the urban oasis and make some honey for you to enjoy. Innkeeper Lori is always incorporating honey into her home cooked masterpieces, like Phyllo Bites with Caramelized Onion, Goat Cheese, Honey and Fresh Rosemary. So next time you’re in a hotel and you see bees flying past your window, don’t swat them away. They’re fellow guests, on their way to pollinate local gardens and bolster the health of the bee population. Wave the little guys on their way, and enjoy the honey!